Purchase Lyons 600 tea bags Pieta house special case and support Pieta house. For each purchased special case 50cc will be donated to Pieta House charity. An improved way to infuse a cup of tea for your customers thanks to its pyramid shaped bag. 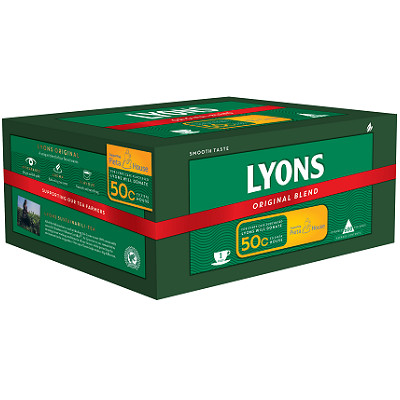 Lyons Original 1 Cup Tea bags 1x600 tea bags - Pieta House special case offers a great tasting tea serving 600 cups of tea a pack. Rainforest Alliance Certified™.